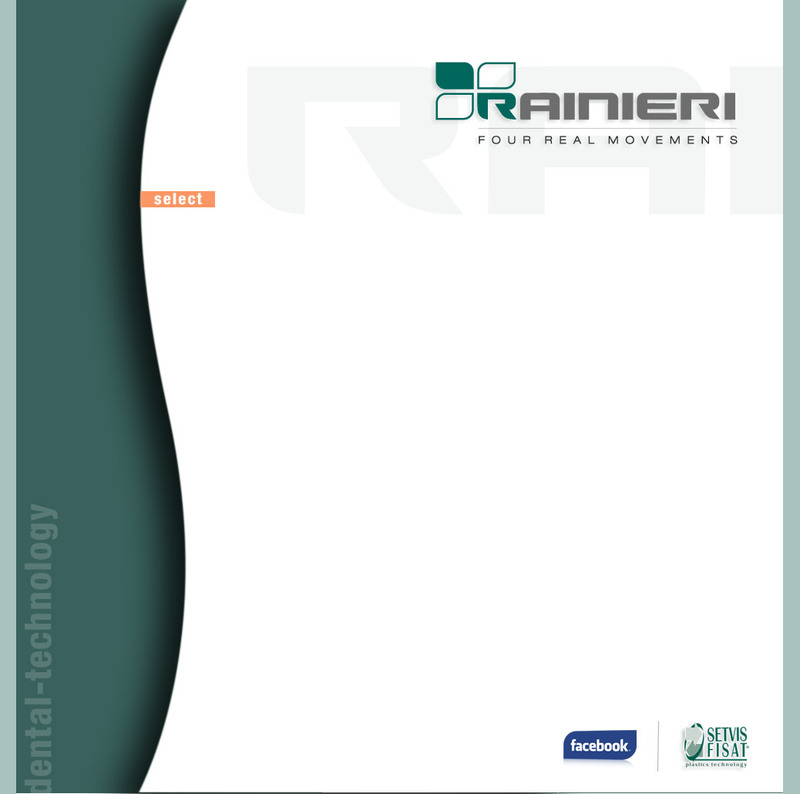 RAINIERI® ARTICULATOR - This innovative, new simulator of articular movements is named after its inventors, the Rainieri dental technicians. THIS NEW TOOL HAS BEEN DESIGNED TO SIMULATE FOUR, UNIQUE PHYSIOLOGICAL MOVEMENTS AS REALISTICALLY AS POSSIBLE. This simple, innovative dental articulator allows dental technicians and dental surgeons to move only the lower jaw (mandible) by lowering and moving it back as correctly as possible so that the above movements that are performed naturally by the human body can be replicated as realistically as possible. In this way, a prosthetic articulator can be constructed that is far more realistic and helps patients who need prosthetic restoration that is more suited to their requirements. The RAINIERI® articulator is manufactured entirely by our company, Setvis-Fisat, using machinery from our finishing department including CNC milling machines and lathes, work benches with special assembly structures and ball vibrators to obtain the polished surfaces. These are all highly innovative systems that ensure precise machining of the articulator, with reduced tolerances, a feature that has determined the success of many of our products. During assembly, each articulator is assembled and calibrated manually and undergoes and passes detailed, thorough testing.